Today I am sharing with you one of my favorite simple appetizers… Baked Artichoke Hearts with Lemon! Not going to lie, my 5 year old and I finished off about half of these ourselves. I love artichokes, especially the tender hearts. 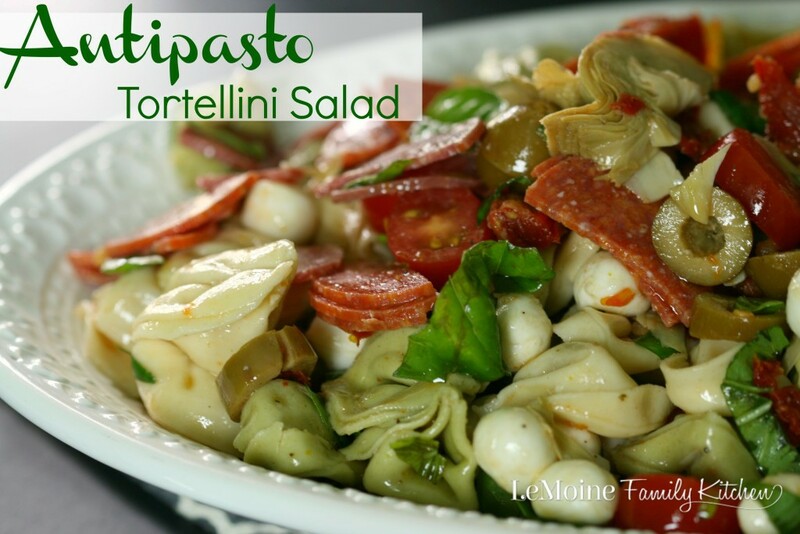 This appetizer is really simple to throw together, packs really great flavor and perfectly pop-able! This is one of those times I am extra thankful for modern conveniences like canned artichoke hearts. The labor to get these beauties out of a full artichoke is just something I do not have time for. 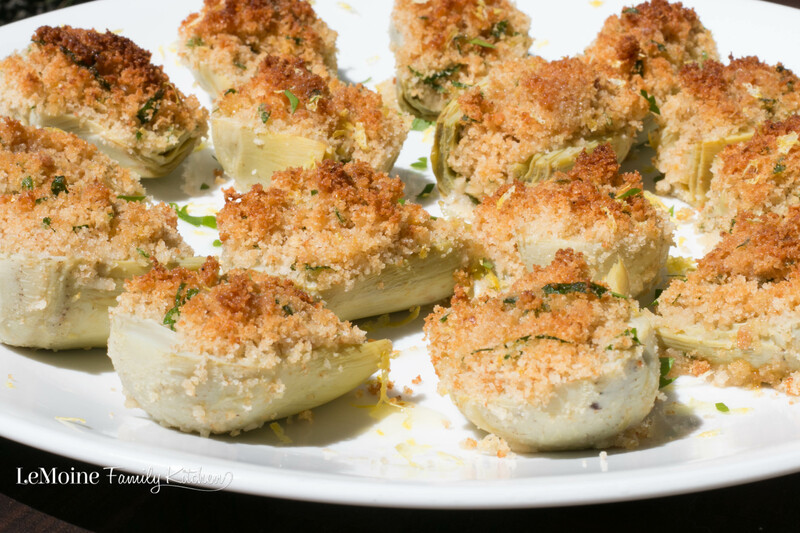 So I buy the whole canned artichokes, halve them and stuff them with a perfectly seasoned breadcrumb mixture. I mix plain bread crumbs with olive oil, garlic powder, salt, grated cheese, fresh chopped parsley and lemon zest. 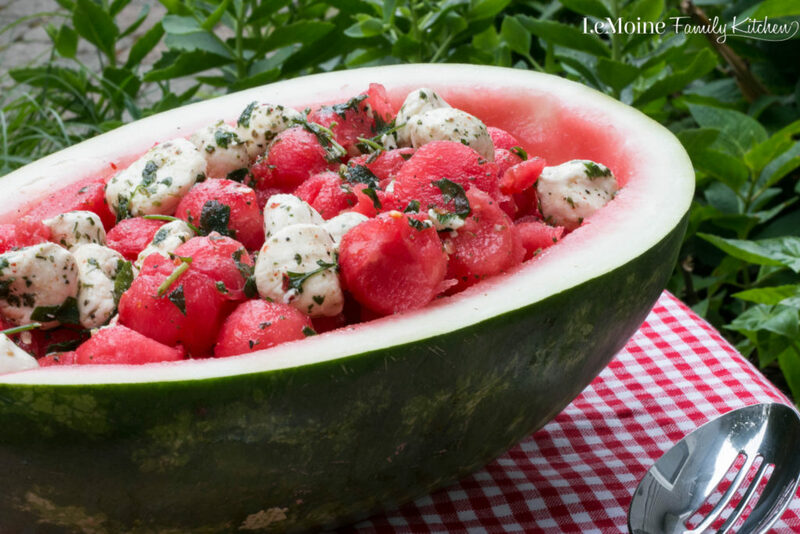 Pop them in the oven for just 8- 10 minutes and you are ready to enjoy! 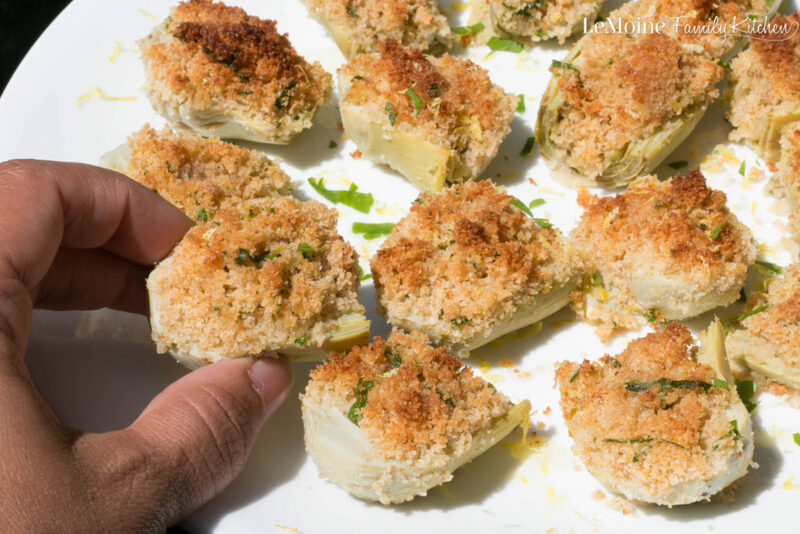 Carefully halve the artichoke hearts and place them onto a lined baked sheet. In a bowl mix together the bread crumbs, olive oil, garlic powder, salt, grated cheese, parsley and lemon zest. 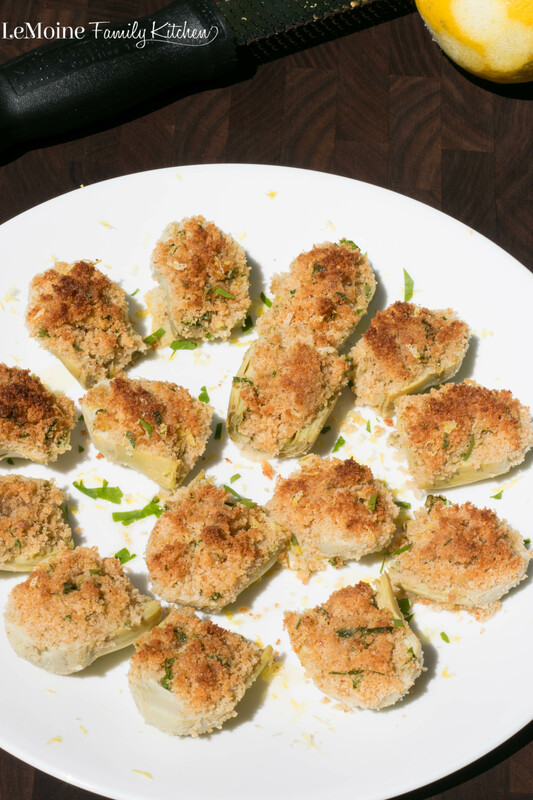 Top each artichoke heart with some of the bread crumb. Bake for about 8-10 minutes until lightly golden. Garnish with chopped parsley, lemon zest and a little drizzle of olive oil.